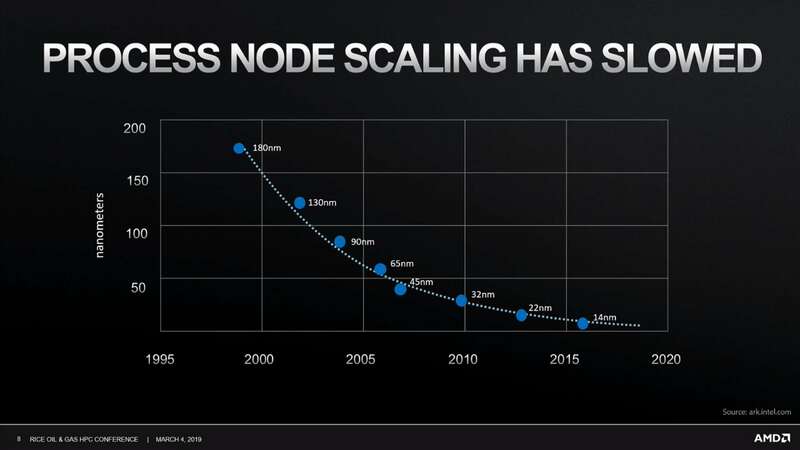 At a high-performance computing event this month AMD has given a little more detail about the 3D chip-stacking techniques it’s looking at to mitigate the slowing of Moore’s Law. 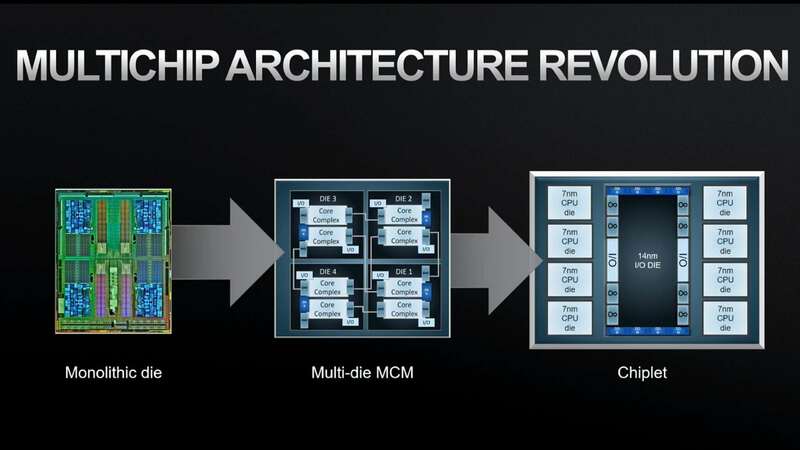 The multi-chip, or chiplet architecture that’s propping up the AMD Ryzen 3000 processors launching this year looks to only be a step on the road towards fully 3D stacked, heterogeneous processor designs. With the performance benefits of process node shrinks weakening with every new lithography AMD is keenly looking for ways to keep its products moving forward. While the new Zen 2 chiplet design is an important technique for increasing the amount of silicon in a single socket, it’s a trick that’s going to lose its lustre fast. Norrod was speaking at the Rice Oil and Gas HPC conference (via Tom’s Hardware) and made the point that even combining chiplet design with true 3D stacking isn’t enough to keep things moving ever forward in terms of performance gains. 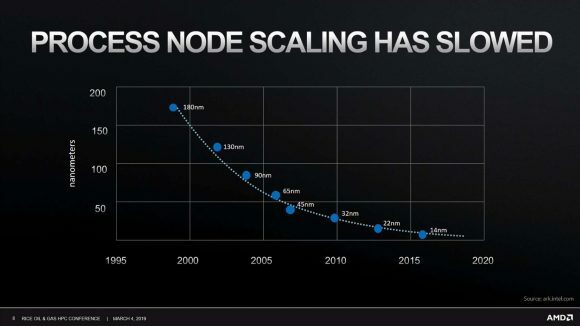 AMD sees the need to pair such techniques with scalable interconnects, new memory architectures, and new software frameworks too. The problem is that all the traditional methods we’ve been seeing used to continue on the Moore’s Law trajectory are starting to run dry. 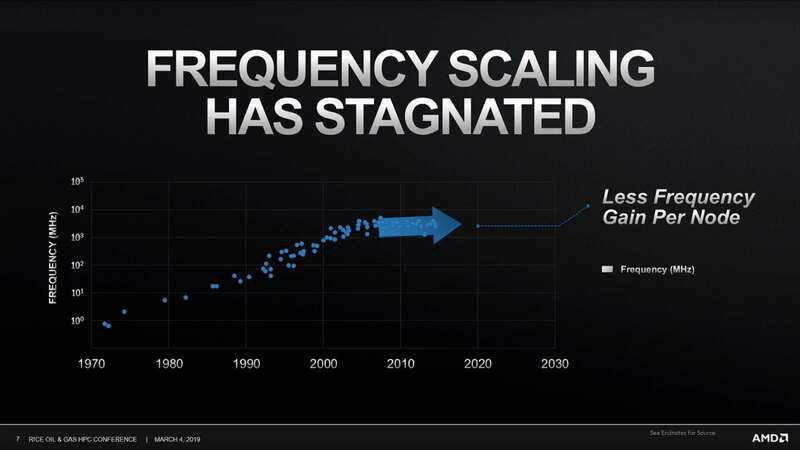 And the biggest tricks have been either increased clock frequency or increased density scaling. “You saw a continuous improvement in clock frequency of digital systems for many, many years” explains Norrod. “The dirty little secret in the industry though, over the last ten years that has stopped, and may now be regressing. So if frequency gains are slowing down you utilise the shrinking transistors to squeeze ever more logic into the same space. So, as every would-be town planner knows, it’s time to start building upwards. And, while we’ve already got GPUs with high-bandwidth memory strapped to the same die, the future is about true 3D stacking. 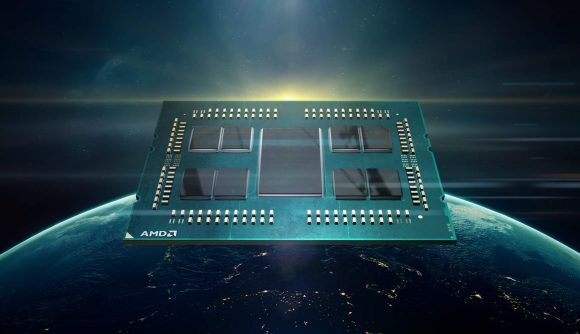 AMD isn’t alone in thinking this; Intel announced its own Foveros technology last year, being introduced into the Intel Lakefield CPUs launching this year. That’s a chiplet design combined with stacked CPU/GPU and I/O layers, with a couple of DRAM strata topping it off. And that’s the direction AMD is looking to go in too. To start with it’s going to be most important for memory, and using the interconnects and software developments to create a coherent pool of memory that can be accessed by CPU and GPU as one. That’s not going to appear in next year’s Zen 3, expected in 2020, that’s looking like it’ll be more of a half-generation update than a full redesign of the Zen 2 chiplet architecture. Though maybe Zen 3 will arrive with heterogeneous chiplets, with CPU and GPU chiplets intermingling in different chiplets on the same package. That would give us a whole new kind of APU. 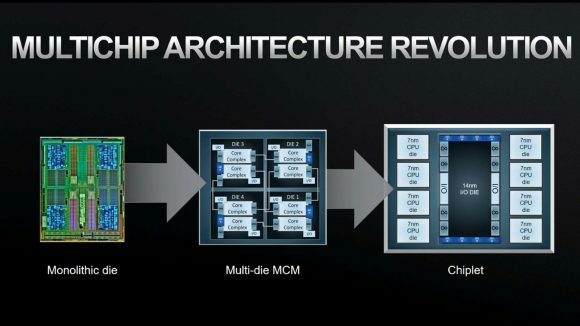 But it’s quite possible that Zen 4 will be the next generation architecture to see a true 3D stacked processor arriving in AMD form for the first time, and quite possibly with a whole new socket design to support it.